We have tested it on Windows operating systems. It should work in Excel on Apple Mac’s iOS, however, this hasn’t been tested. To make sure that it works fine on your computer you can download the free version of the calculator and try to use it. If the Free version works fine then the Premium version will work fine as well. 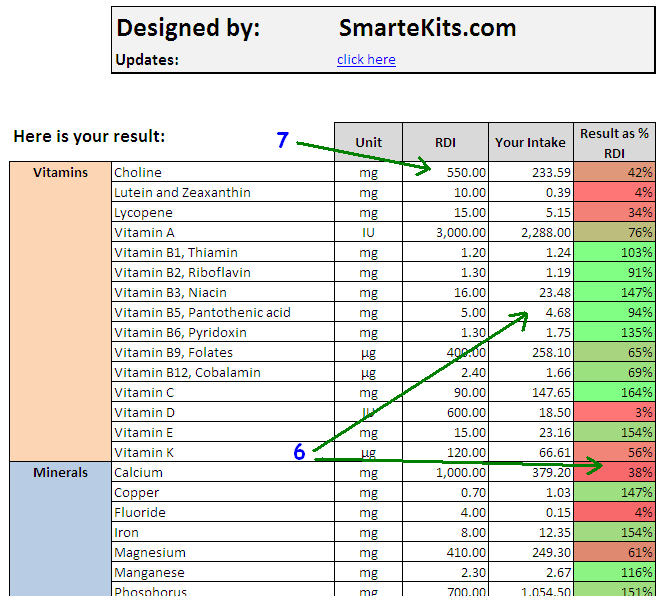 Free version contains full food database, but covers only Vitamins and Minerals. If you like it then you can buy the Premium version. 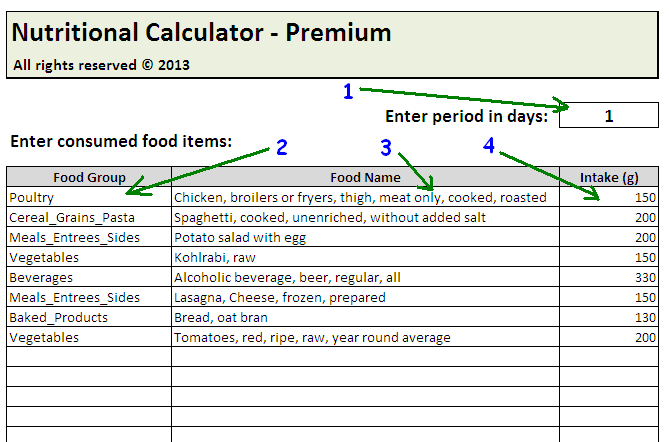 Plus you will also get our eBook Nutrition Content of Foods as a bonus for FREE!